How the Law Works is a refreshingly clear and reliable guide to today's legal system. Offering interesting and comprehensive coverage, it makes sense of all the curious features of the law in day to day life and in current affairs. Explaining the law and legal jargon in plain English, it provides an accessible entry point to the different types of law and legal techniques, as well as today's compensation culture and human rights law. In addition to explaining the role of judges, lawyers, juries and parliament, it clarifies the mechanisms behind criminal and civil law. 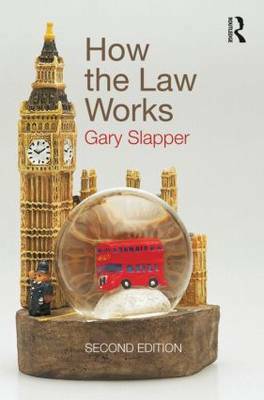 How the Law Works is essential reading for anyone approaching law for the first time, or for anyone who is interested in an engaging introduction to the subject's bigger picture. HERE’S HOW IT WORKS -- AND IN PLAIN ENGLISH TOO!